Delivery Time: 3-5 days SKU: TOYAUDIOUSB. 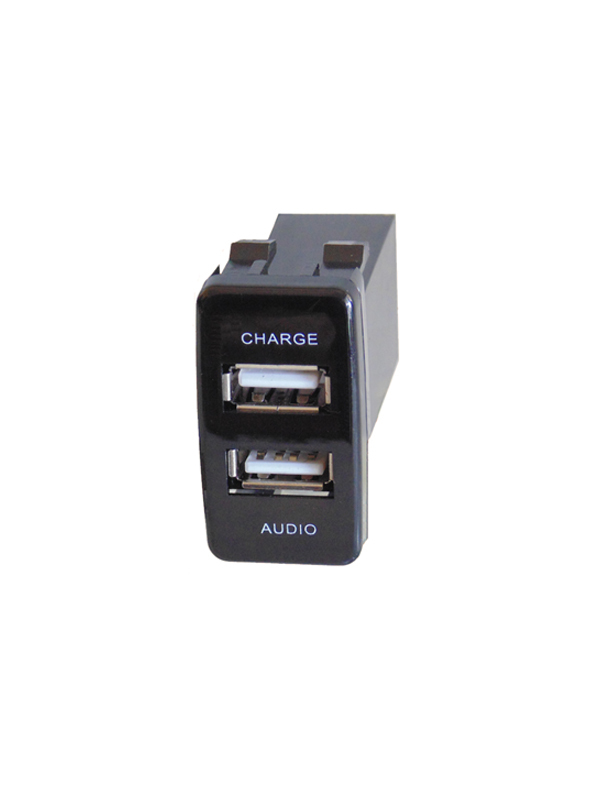 Categories: Auto Electrical, Switch Socket Products. 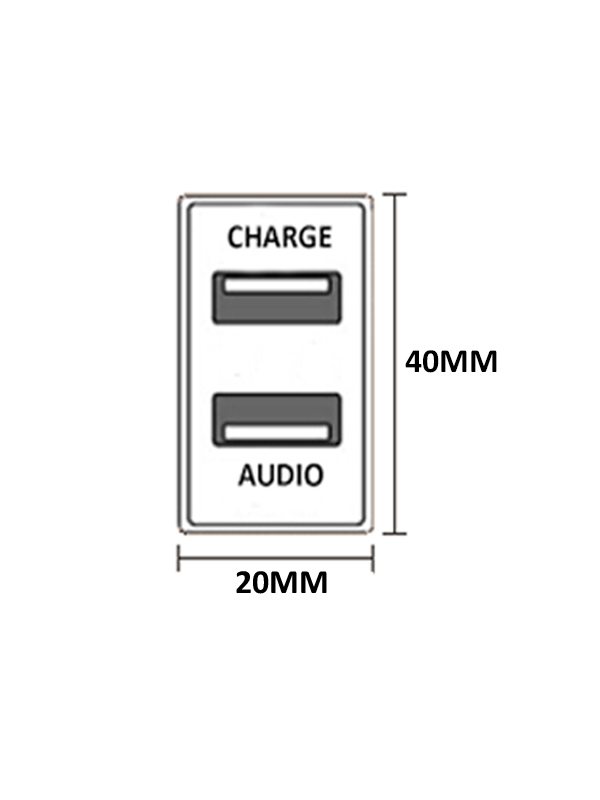 The Audio Pass Through sockets are a great piece of Solid Kit. 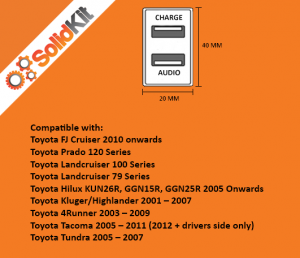 If you have a Toyota and have either upgraded the Audio system, fitted a DVD monitor with USB input, or installed some sort of awesome sound system / Media PC and need an original looking USB input – then these are for you. 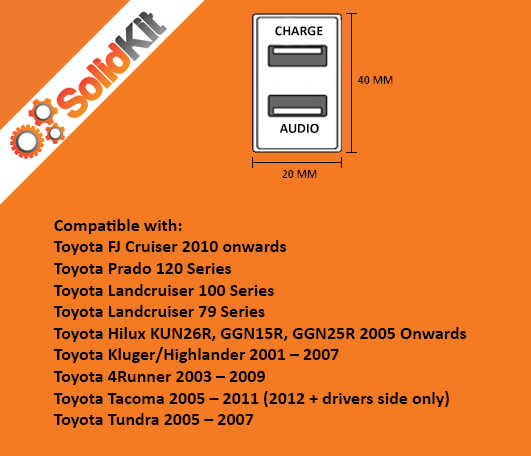 The Audio Pass Through USB Charger is a perfect fit for the standard Toyota 40mm x 20mm switch socket. 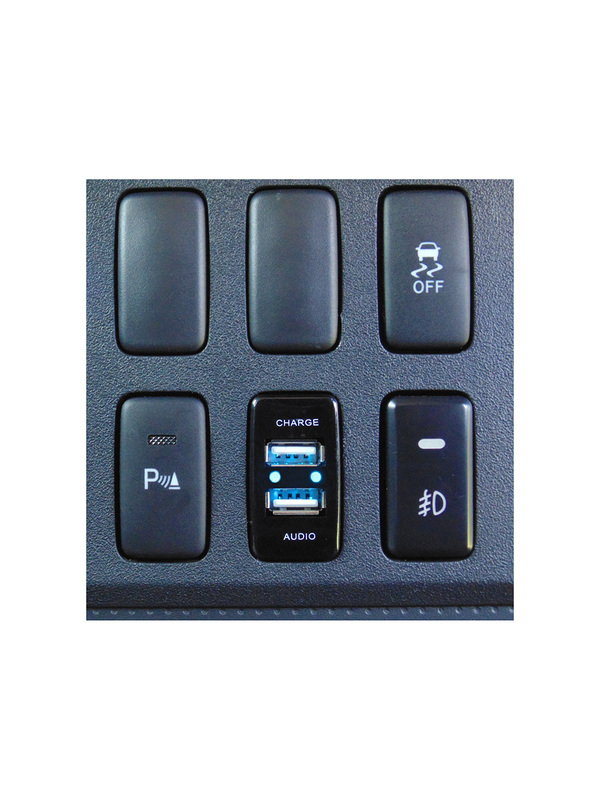 It has similar form to the OEM switches so it does not look out of place. 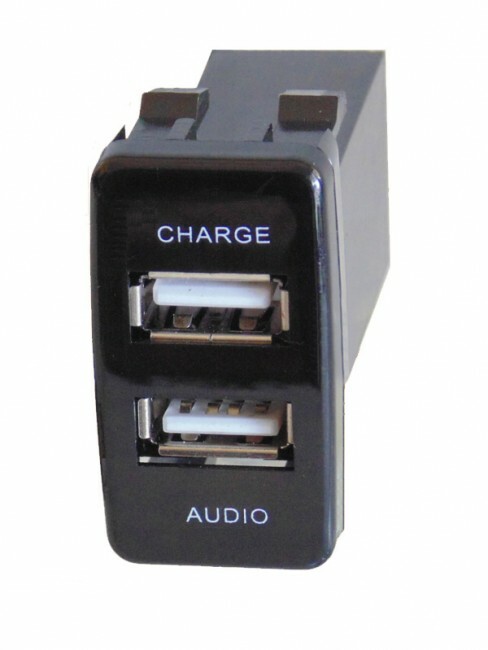 Hidden Blue LEDs light up blue when power is connected or a USB connection is made to the back of the unit. 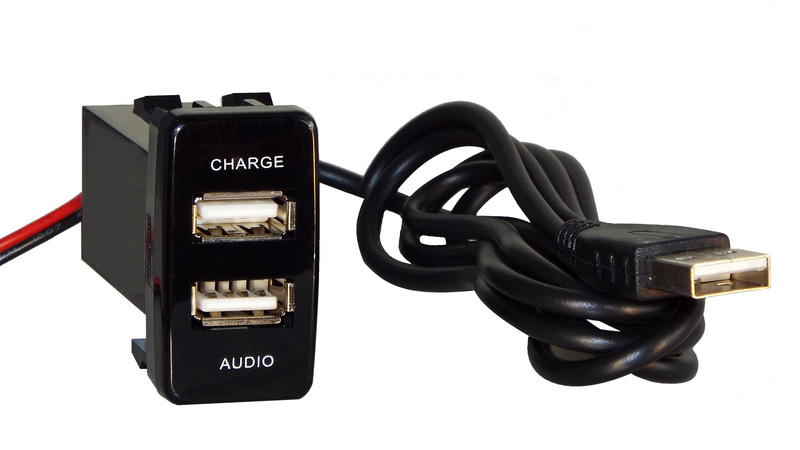 Once your switch blank is removed, it is quite simply a matter of pushing the Audio/USB Charger in place.